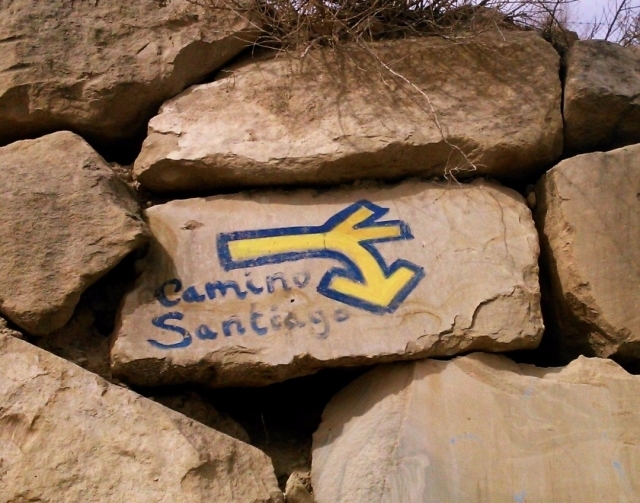 Numerous hand-painted false signals have recently appeared on the Camino de Santiago, specifically in the town of Llanes, so the council of the Asturian town has already been commissioned to denounce through its Department of Culture. It is signals on the asphalt of the N-634, in walls, houses and even trees located in the path of the road that separates Llanes and Bustio. Among the signs, located between Buelna and La Franca, there are some large and others that promote several local businesses. In any case it is erroneous signals that have come to confuse some pilgrims, bringing them even wandering near cliffs in the area and hindering from their path through the Camino de Santiago. The fact has been communicated to the authorities of the Principality of Asturias, responsible for signaling the Jacobean Route. Se debería de multar de manera más elevada. Pero claro, tú encuentras una señal... ¿cómo sabes quién la pone?